I had intentions of riding Palomar Mountain on my only day off. I had worked six days this week and wanted something other than riding the local roads. But after I sent out an email about my intentions some riders reported that there was ice on the upper slopes of Mount Palomar. So instead I met with Dave Elsberry and we did a century at a good fast pace in Orange County. Our century had lots of rolling terrain and some good climbs I hadn’t ridden before. 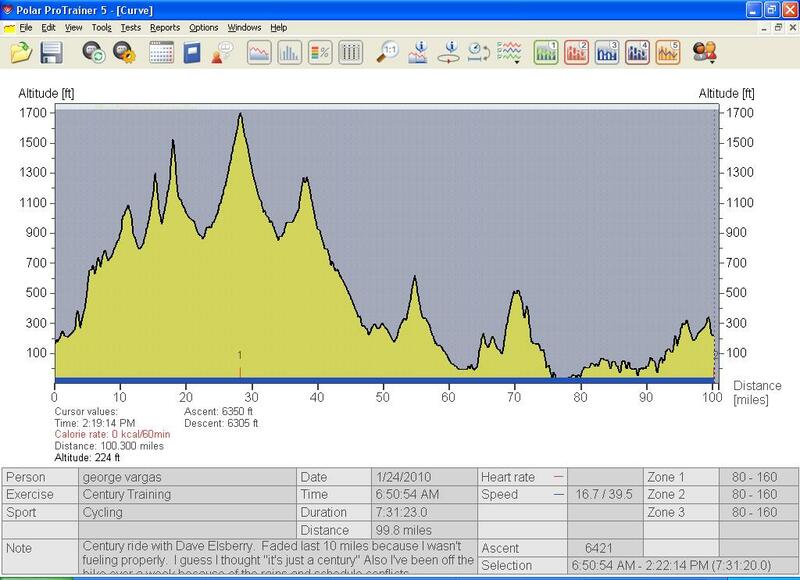 We had a good ratio for the first 40 miles– 40 miles 4,000 feet of gain. At some point the climbing was less per mile but the intensity made up for it. I think we are pretty evenly paced and make good riding partners. I faded on the last 10 miles but I think I just didn’t fuel properly. I guess I thought “what’s the big deal? It’s just a century.” I also flatted twice one rear caused by debris in the bike lane and the other a front flat while descending Sliverado Canyon. 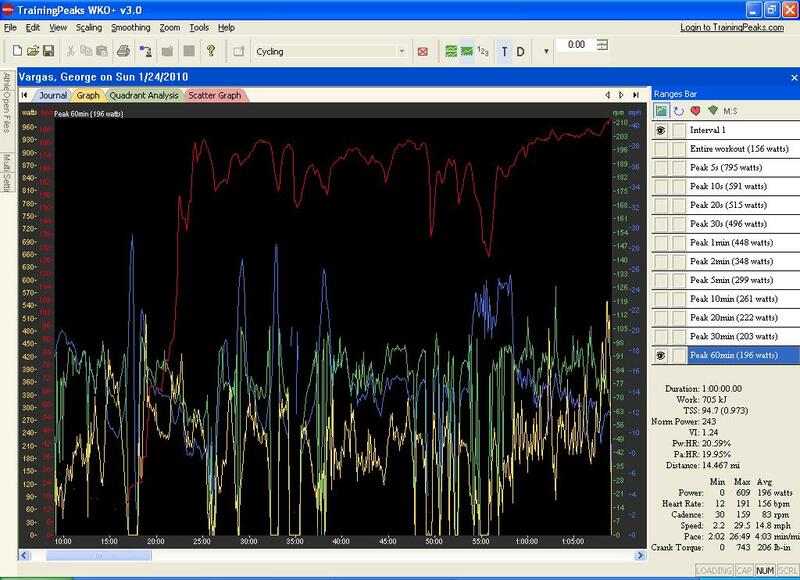 This entry was posted in century routes, power charts, Training by REV Cycling Directeur Sportif. Bookmark the permalink.